More people with learning disabilities should be on TV! My name is Beth Richards, I have a learning disability and I am an actress. I want to educate the world about people with learning disabilities through my acting, and think that mainstream TV in the UK should be doing more to represent people like me. I am doing some research to find out why so few people with learning disabilities are on TV and what can be done to change this. At the moment data suggests that only 1.2% of people on TV have a disability (Mental Health Foundation, 2014) and we still don’t know how many of these have a learning disability. My research is part of a much bigger ESRC funded project called “Getting Things Changed” at the Norah Fry Centre for Disability Studies, University of Bristol. This project is looking at how the barriers people with disabilities in the UK face can be overcome by changing the way people do things. These campaigns are starting to make a difference as both the BBC and Channel 4 have made commitments to improve the representation of disabled people on their channels. For example, the BBC has committed to quadrupling the number of disabled people in its shows by the end of this year, whilst Channel 4 launched its 360 Diversity Charter in 2015 and made 2016 it’s Year of Disability. I think these commitments are great, but it is hard to find out what impact they have had as the channels aren’t reporting their success widely. From a viewer’s perspective, it doesn’t seem like there are more disabled people, especially people with learning disabilities on TV, than there were a few years ago. One reason why the numbers of disabled people on TV might not have increased despite the BBC and Channel 4’s commitments, might be down to the way TV is made. Shows are written, commissioned, casted and produced by different groups of people. This means there are lots of different layers where disability can be excluded or discriminated against. Many of them out of the control of the television channels themselves. This seems to suggest that the way TV is ‘done’ affects the number of people with learning disabilities who end up on our screens. I hope to explore this issue in my research by talking to writers, commissioners, casting agents, producers and actors both with and without learning disabilities about the industry. 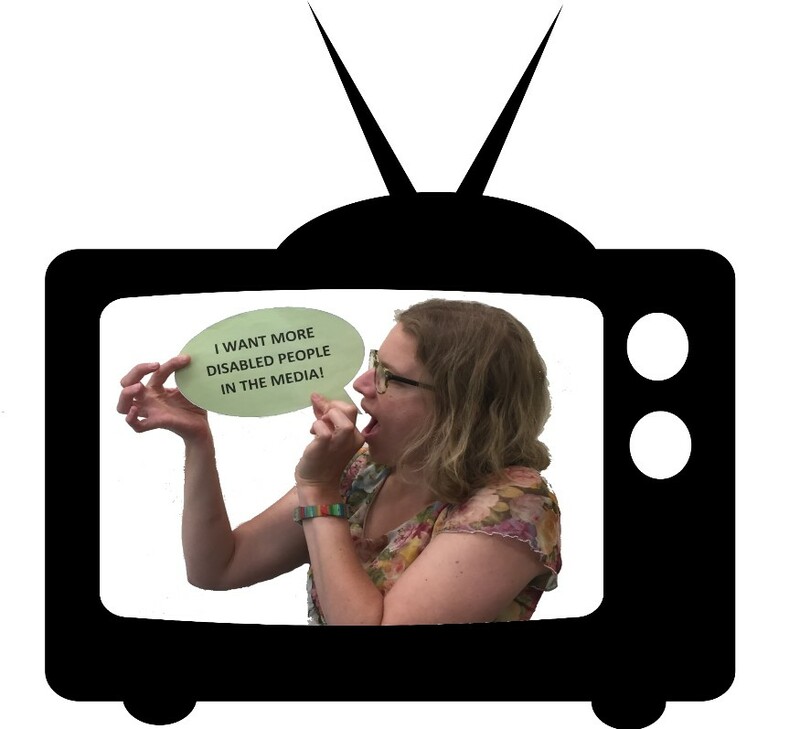 I am going to look at what these people say using Social Practice Theory to help understand how the way TV is ‘done’ can be changed to help get more people with learning disabilities on TV. I know people with learning disabilities can be actors and have lots of talents. We are role models for others because we know what it’s like to grow up with a learning disability. Hopefully my research can help change the media for the better. This entry was posted in Norah Fry Research, School for Policy Studies, Uncategorized and tagged disability on television, Diversity Charter, getting things changed, learning disabilities, sarah gordy, Year of Disability by policystudies. Bookmark the permalink.